An analyst says the duties are meant to keep imports of “posh” Western vehicles at bay while China moves beyond small-car production and develops midsize and large cars. A new trade dispute at the World Trade Organization between the U.S. and China over protective duties could foreshadow a battle in a long war for supremacy in global auto markets, an industry expert says. Peter Cooke, a professor of automotive management at the University of Buckingham in the U.K., discusses the scenario after the WTO’s disputes-settlement body established a panel to adjudicate claims China is imposing illegal duties on U.S. vehicles exported to the country. Cooke predicts a tough fight from Beijing to maintain the duties, which he characterizes as both punishing and strategic. According to the U.S. Trade Representative (USTR) office, the Chinese government in December 2011 issued both anti-dumping and countervailing tariffs on U.S.-built cars and SUVs with engine capacity of 2.5L or larger. The USTR reports the anti-dumping duties are 21.5%, with lower rates for selected car companies ranging from 2% to 8.9%, and countervailing tariffs of 12.9%, with lower rates from between 6.2% and 12.9%. These are paid on top of China’s existing 25% duties on U.S. auto imports. Cooke tells WardsAuto.com China is playing a “long game” with the aim of giving its auto sector time to develop midsize- and large-car capacity, building from its existing strength in the small- and budget-car sector. “This is part of the new protectionism” spurred by China’s assessment of its local market, he says. The analyst adds that China’s recent economic slowdown likely will make Beijing’s newly appointed political leaders more aggressive in fighting the WTO case. The duties China is defending are intended to compensate domestic auto makers for alleged U.S. government subsidies to American car companies, and to punish those manufacturers for alleged dumping in China – selling at reduced prices cars that are more expensive at home. Both practices could violate WTO rules. The panel will decide whether China’s claims are valid and, if so, whether they are in fact illegal. The U.S. government is confident it will win the case. American diplomats fired a broadside at their Chinese counterparts during an Oct. 22 meeting in Geneva of the WTO dispute-settlement body that formed the panel to judge the countries’ conflicting claims. Several Chinese auto analysts contacted by WardsAuto suggest the U.S. move against China’s measures was timed to make President Obama appear tough on China during the run-up to his re-election. They also suggest China’s tough stance at least is partly motivated by wanting to counter U.S. complaints to the WTO about Chinese promotion of exports such as clothing. The U.S. already has raised concerns about Chinese tire-import controls. China’s higher duties are a way of “rattling the saber” over sales of U.S.-built SUVs in the country, says Bill Russo, senior adviser at global consulting firm Booz & Company’s Beijing office. While GM stands to gain if the WTO panel rules against China, the auto maker already has been prospering from its manufacturing operations in the country. According to the China Association of Automobile Manufacturers, GM says imported vehicles account for less than 0.5% of its Chinese sales. Other U.S. auto makers also could benefit if America prevails in the tariff dispute and ultimately convinces China that freer trade is in everyone’s interests, predicts Tomas Hult, director of the International Business Center at Michigan State University. He argues if China abolished its existing duties and harmonized its tariffs with the U.S. at 2.5%, then GM alone could sell 9 million cars a year in China, up from 2.5 million today. “With the exception of the last year, the Chinese auto market has grown tremendously in the last decade, mainly due to the population growth of China’s middle class,” he says. Messe Frankfurt’s premiere auto industry gathering, NextGen Auto International Summit China, is designed as a truly international thought leadership platform for speakers and delegates to interact, exchange ideas and promote new strategies, collaborations, technologies, services and applications. Delegates will take away new insights into business development directions and technology innovations that can facilitate a more sustainable and profitable future for OEMs, suppliers and service providers. As a former Chrysler executive in the China and Asia markets, Mr. Russo’s experience has involved successful partnership negotiation agreements, bringing new vehicle programs to market, and establishing sales / distribution infrastructure. He will share his insights on creating a green transportation paradigm for 21st century mobility in China. Drawing on his China experience as China Board Member of the European Automobile Manufacturers Association (ACEA), and representing Scania’s operations in China, Mr. Harborn will explore the way forward to greener, cleaner, energy efficient and more productive commercial fleets. Drawing on his extensive automotive experience with Ford Motor, A.T. Kearney and PRTM, Dr. Xu will explore product innovation, platforming, new manufacturing approaches and supply chain needs for the next generation of passenger and commercial vehicles. Representing TEPCO, initiator of CHAdeMO and rapid charging, Mr. Aoki will highlight plans for the roll-out of infrastructure as well as the future direction of electric mobility for a low carbon economy in Japan. 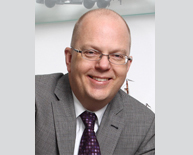 Mr. Paur is a consumer marketing, advertising and branding specialist in global automotive markets. He will share his insights on telematics, including connectivity needs, consumers’ willingness to pay, as well as its relevance to the consumers purchasing decision of a vehicle. ElBil2020 is a key development project in Stockholm reflecting Sweden’s goal to be a world leader / role model in fossil-fuel free transportation by 2020. Mr. Larsson will detail plans and progress in engaging the whole community for the transition. He is Chairman of the Board of Lund University and a Former Swedish Minister of Finance. Bringing together substantial industry expertise gained serving in both multinational and Chinese companies with a focus on automotive and energy sectors, Dr. Li will explore the way forward for the electrification of China’s auto industry. Dr. Thomson was founding Chief Executive of HaloIPT (Auckland University’s wireless power initiative) prior to its acquisition by Qualcomm. He will evaluate the global potential for wireless charging infrastructure and innovative applications. Recognised as “Fleet Manager of The Year” and representing one of the US Top 100 Fleets, Mr. Longobart has dedicated his career to the quest for safer and greener fleets. He will explain how the telematics services revolution is benefiting municipal governments through carbon footprint reduction, cost efficiencies and increased productivity. Mr. Heep constantly seeks new ideas and projects to establish electric mobility supported by renewable energy initiatives. He will explore prospects for the electro-mobility transformation under way in Germany and supporting infrastructure initiatives. View Agenda here. Sessions are bookable separately or as a package. 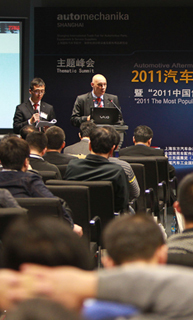 Register on or before 30th September 2012 to qualify for up to a RMB1,000 / USD150+ discount on the summit registration fee. Payment is required to secure the discount. As the balance of world market and economic power shifts from West to East, China has emerged as the key location in the battle for dominance of the 21st century’s global auto industry. Due to increasing pressure from air pollution, oil consumption and urban congestion, the focus of the country’s auto industry will increasingly switch from internal combustion driven vehicles to alternative propulsion technologies, particularly those powered by electricity. Already many observers believe that the government’s ambitious series of programs and policies designed to accelerate the development of new energy vehicles run over the last decade will lead to the emergence of China as the key location for a global “green” mobility revolution. As this happens, the eventual electrification of the automotive powertrain will transform the automotive industry, and even society itself. However, these efforts to reinvent transportation will take longer than widely anticipated. Efforts to leapfrog internal combustion engine technologies or to otherwise short-cycle the development of new and advanced mobility technologies will fall short in the short to medium term. Instead, China’s automotive industry will take a longer, more circuitous route towards its objective of finding new energy replacements for gasoline. The government will be a key player in this through its decisions on where resources and research efforts should be directed, what standards should be mandated, and what subsidies and incentives such as tax breaks should be offered. Transformation will occur in stages, with commercial vehicles such as taxi fleets, delivery companies and bus services being the first major users. As this happens, the industry will see the emergence of new business “ecosystems” - ones that bring together a different range of companies from those traditionally involved in the auto sector. These new forms of collaborative partnerships will in turn lead to new business models, very different from those formed in the era of the internal combustion engine. Bill Russo is the Founder and President of Synergistics Limited and a Senior Advisor with Booz & Company. 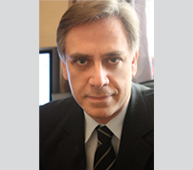 With over 15 years as an automotive executive with Chrysler, including over 8 years of experience in China and Asia, Mr. Russo has worked with numerous global firms in the formulation and implementation of their globalization strategies. His experience in China includes having successfully negotiated agreements with partners and obtained required approvals from the China government to bring 6 new vehicle programs to the market in a 3-year period, as well as establishing an infrastructure for localization and sales/distribution. Mr. Russo has a Bachelor of Science in Chemical Engineering from Columbia University in New York, and a Master of Science in Manufacturing Systems Engineering from Lehigh University in Bethlehem, Pennsylvania. He is a highly sought after opinion leader on the development of the automotive industry and the electrification of transportation.